The Junkers Ju 89 was a heavy bomber designed for the Luftwaffe prior to World War II. Two prototypes were constructed, but the project was abandoned without the aircraft entering production. Elements of its design were incorporated into later Junkers aircraft. From the very beginnings of the Luftwaffe in 1933, General Walther Wever, the chief of staff, realised the importance that strategic bombing would play in any future conflict. A Langstrecken-Grossbomber ("heavy strategic bomber") was needed to fulfill this role. 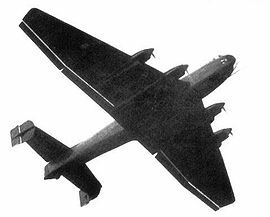 Under the Ural bomber program, he began secret talks with two of Germany's leading aircraft manufacturers - Dornier and Junkers - requesting designs for a long-range bomber. The two companies responded with the Dornier Do 19 and the Junkers Ju 89 respectively, and the RLM (Reichsluftfahrtministerium, "Reich Aviation Ministry") ordered prototypes for both aircraft in 1935. It is reported that the RLM request asked for two prototypes and a prototype series of nine aircraft. The Ju 89 and its competitor, the Dornier Do 19, both proved promising, but fell victim to a change of direction within the Luftwaffe. Wever was killed in a plane crash in 1936. His successors - Ernst Udet and Hans Jeschonnek - favoured smaller aircraft, since those did not require as much material and manpower. Also they were proponents of the dive bomber (Ju 87 Stuka) and the doctrine of close support and destruction of the opposing airforces on the 'battle-ground' rather than through attacking enemy industry. They convinced Hermann Gx�ring initially in emphasizing instead the need for tactical bombers to act in an army support role. While Gx�ring's beliefs seemed validated by Germany's early successes in the Blitzkrieg, the lack of strategic bombing capability severely hampered the Luftwaffe in the Battle of Britain. Picture - Junkers JU-89 in flight. On 11 April 1937, the Ju 89 prototype D-AFIT (V1, c/n 4911) was first flown by Hesselbach. Just 2� weeks later, the first flight, on 29 April 1937 the further development of both strategic bombers was cancelled by the RLM. The reason for this step was the high fuel consumption of heavy bombers, as well as the fact that a large number of bombers could only be manufactured if these bombers were medium bombers, like the Ju 88. Junkers completed the second Ju 89 prototype D-ALAT July 1937. Junkers used both prototypes for extensive flight tests to get experiences about the stability and flight controls of large aircraft. But the third prototype V3 was stopped after the program was cancelled. During these tests, the Ju 89s set two payload/altitude records, first by carrying 5,000kg (11,000lb) to 9,312m (30,500ft) and then 10,000kg (22,000lb) to 7,242m (23,750ft). On 4 June 1938, Junkers achieved a new Payload/Altitude World Record with the second prototype D-ALAT with 5,000kg (11,000lb) payload at an altitude of 9,312m (30,500ft). (4,000m/13,120ft more than a Short Stirling with the same payload) On 8 June 1938, D-ALAT reached an altitude of 7,242m (23,750ft) with 10,000kg (22,000lb). In late 1938, both aircraft were transferred to Luftwaffe, where they were used as heavy transport aircraft. Both Ju 89 prototypes seem to have been scrapped by the end of 1939, although some sources claim that they were still in use the following year in Norway. Both aircraft were later impressed into the Luftwaffe for use as heavy transports. 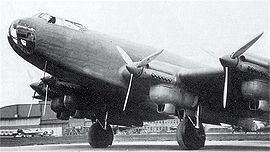 During testing, Lufthansa expressed an interest in an airliner to be developed from the type, which led Junkers to rebuild the incomplete third prototype as the Ju 90.